We have a nice deal at Giant, Martin and Select Regional Stop & Shops. These regional stores have the Slider bags priced at just $1.50 each! 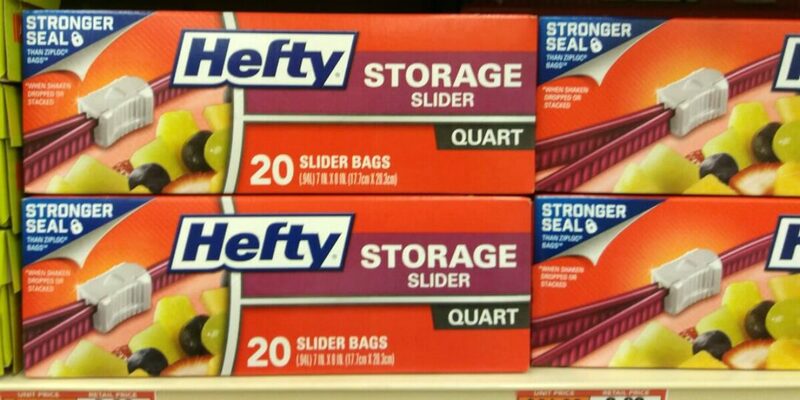 We have a $1/2 Hefty Slider Bags (10 Ct. or Larger) printable coupon available, we also have a $1/2 Hefty Slider Bags 12ct+, and a $1/2 Hefty Slider Bags 10 ct+, from the regional 4/09 Re Plum available. We can pick up a total of 14 of the slider bags, use a total of 7 coupons (Each coupon has a 4 like coupon limit so you’ll need to mix them up) receive our instant savings and pay a total of $9.00! That makes each pack of slider bags only $0.64! Great Deal! For the Rest of us we can buy 10 of the bags and pay $1.00 each after coupons, or you can mix an match. 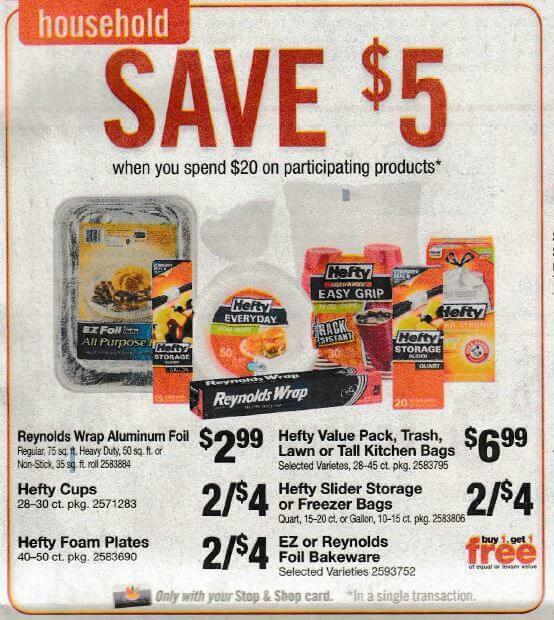 We’ve listed some great Combo deals on Hefty Plates and Cups to get you ready for BBQ Season paying just $1 per pack! If your in need of some disposable Bakeware the Reynolds Bakeware pans are on sale for Buy One Get One Free and are priced at $5.99 – we can get a total of 8 pans, use 8 coupons, an pay just $10.96! That’s only $1.37 for each pack of the Bakeware pans! Awesome Deal!